Chrome with Automelodi and Boyscouts of Annihilation – Echoplex (LA, CA) March, 2018 – Cleopatra Records, Inc. Legendary cyberpunks Chrome headlined an eclectic night at the Echoplex last Sunday. Fresh off a European tour in support of their latest album Technocracy, the 5-piece band tore into a set that featured many of their early songs re-tooled as space-metal anthems. Chrome have produced a deep catalog of music with shifting lineups since their origin in San Francisco in 1975. The Helios Creed/Damon Edge era of 1977-82 is widely regarded as the �classic� period of the band, and this material made up the bulk of their L.A. set. The band�s live sound was full and heavy, closer to the feel of 1982�s 3rd from the Sun than the lo-fi minimalism of Red Exposure (80) and Half Machine Lip Moves (79). Opener �New Age� was distinguished by its jerky rhythms and the vocal effect manipulations of singer and lead guitarist Helios Creed. After that, the songs more or less blended into a wash of flanged-out metal riffs and driving beats. While the idiosyncratic weirdness of the early studio recordings was missed, it�s thrilling to see the band rocking with such authority at this stage in their career. 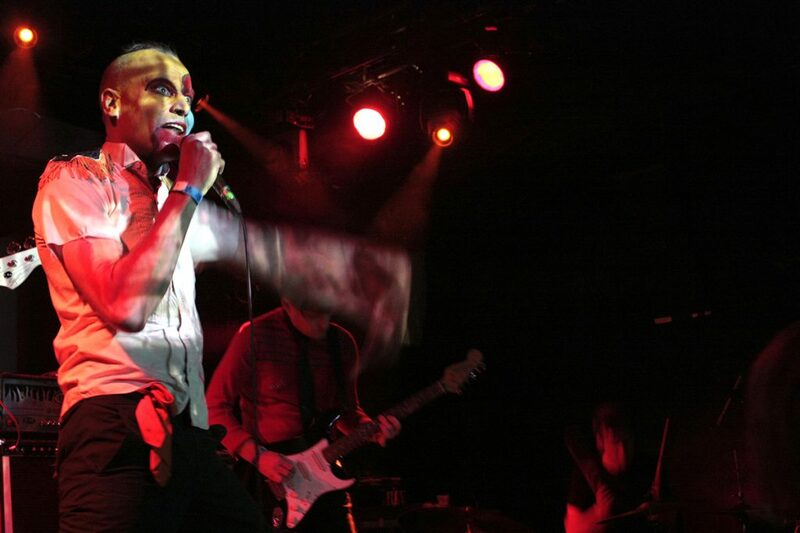 This installment of the weekly Part Time Punks night at the Echoplex boasted a diverse lineup. Montreal act Automelodi transfixed the crowd with their frosty electro-pop. Singer Xavier Paradis danced atop a pulsing sequencer beat, occasionally triggering samples to punctuate the rhythms, while guitarist Dillon Steele created shimmering six-string textures. Reformed 90s L.A. group Boyscouts of Annihilation delivered a manic set of high energy post-punk, with vocalist Karim Shuquem rocketing across the stage and into the crowd as the band pummeled their instruments. DJ Michael Stock drew a road-map between punk, new wave, and industrial with an appropriate selection of tunes between the bands. Chrome are kicking off a U.S. tour, and Part Time Punks will be back next week with a night of vintage goth rock headlined by Skeletal Family. The brand new studio album from post-punk visionaries, Chrome, led by longtime guitarist/vocalist Helios Creed! The band is currently on tour in Europe and will launch a US tour later this year! This legendary, groundbreaking band inspired everyone from Stereolab to Nine Inch Nails and continues to reach new generations of music lovers! Packaged in a shiny silver paper CD wallet as well as a limited edition vinyl pressing packaged in a silver paper jacket!